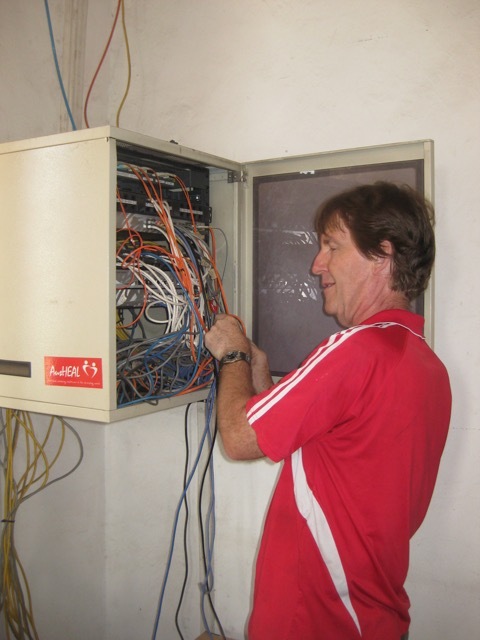 The only remaining AusHEAL team members this week have been Paul and Shannan Bakes working on IT and electrical matters and Neil and Gwen Wetzig. Paul & Shannan have focussed mainly on installation of an internal hospital phone system which will reduce the cost of mobile phone communications between staff, allowing those phones to be directed to medical purposes. 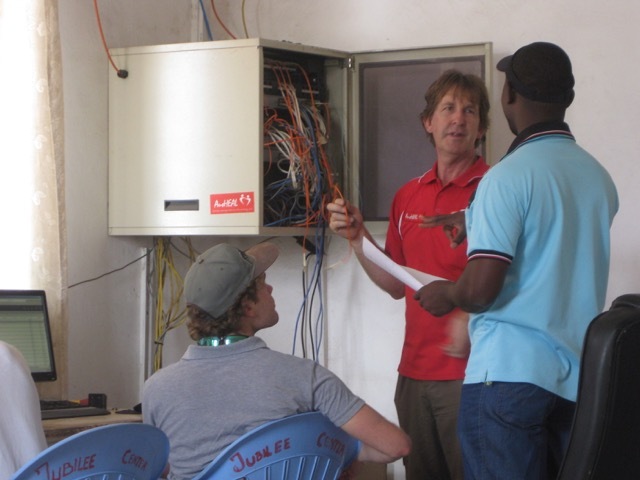 In addition to this, they have laid computer network cables in the new Radiology Building (under construction) and a number of additional offices. A large amount of electrical equipment to improve safety around the hospital has been delivered. 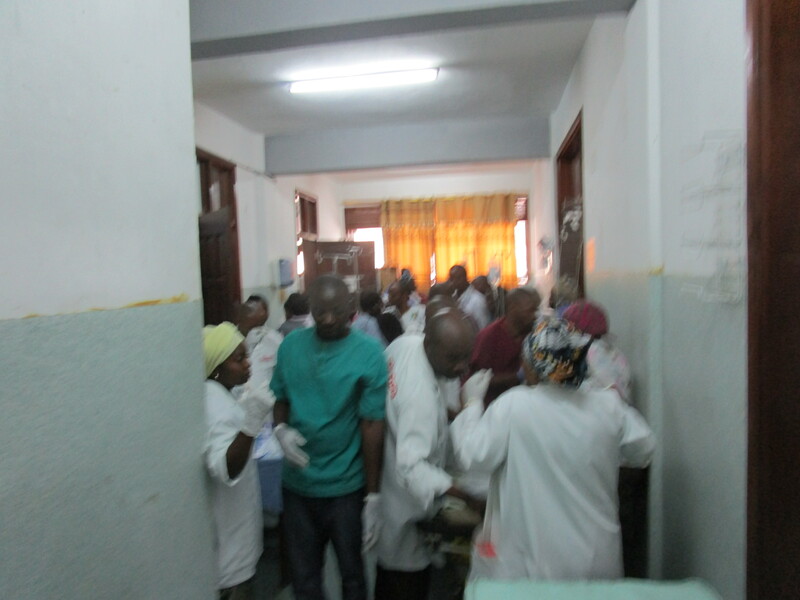 Meanwhile Dr Neil Wetzig continues to work with the HEAL Africa Hospital (HAH) surgeons and wider HEAL Africa staff. 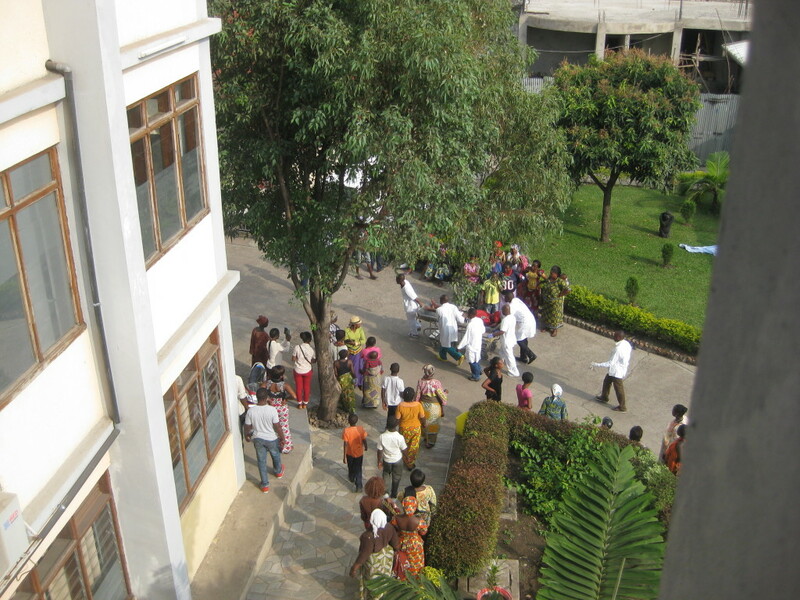 Major surgeries have continued to be performed and these have been excellent teaching opportunities. 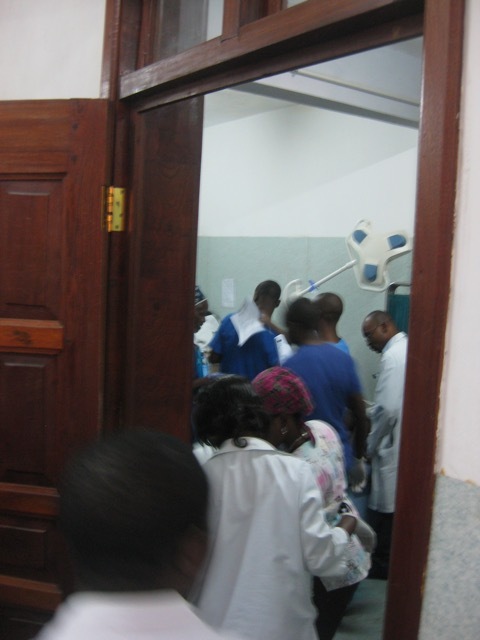 This week surgeries have taken place despite lack of electrical power and water! Power outages were common in the past week so the generator AusHEAL supplied at the beginning of 2015 has been ‘getting a work-out’. 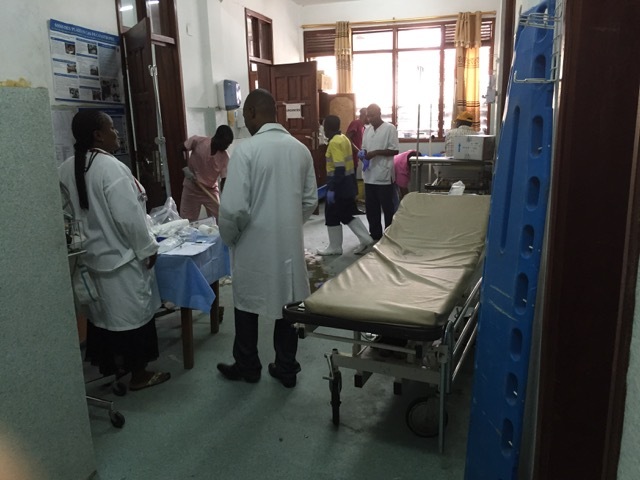 Now that the preceding AusHEAL medical and nursing teams have left Goma, Neil has conducted and will continue to conduct further teaching sessions on Monday and Friday afternoons. Having an extra surgeon (Neil) available has eased the burden a little on Dr Luc the Director of the Hospital, freeing him to devote time to needed administrative duties such as the installation of a new hospital software programme to enhance the hospital’s activities and patient management. Dr Luc’s responsibilities are further extended at the moment with Dr Justin (HAH CEO) and Dr Jo Lusi overseas visiting the USA. Dr Luc and Patrice Muamba (Chief of Operations) are essentially in charge of the organisation. To be able to relieve Dr Luc of clinical pressures during this period is an added benefit of Neil staying longer in Goma this year. 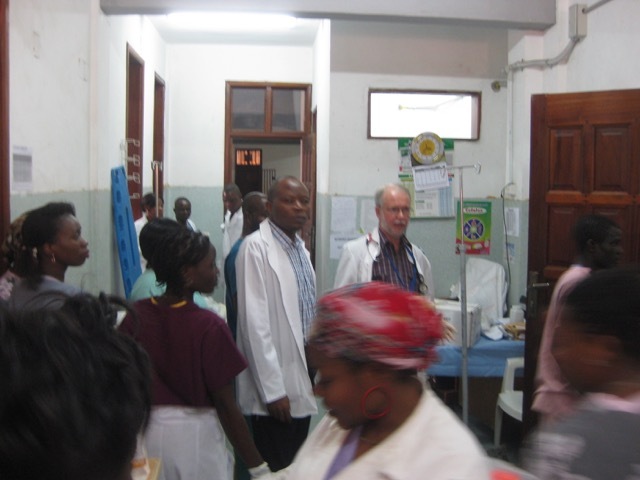 Gwen Wetzig continues to work on administrative issues and as AusHEAL liaison with HEAL Africa Hospital. This week the hospital had a ‘mass casualty situation’, generally defined as ‘an incident in which emergency medical services and resources (e.g. personnel and equipment) are overwhelmed by the number and severity of casualties’. Approximately 15 to 20 casualties arrived at 3.10pm on Tuesday afternoon after a truck crash. Sadly the truck was returning from a funeral and the brakes failed. Congolese people tend to travel in a truck to and from a funeral together with the deceased and photos of same and often a cross. Such a truck is usually very full. In this accident 2 young people died (still transported into the Emergency Department in this state). Remaining casualties had varying injuries mostly orthopaedic. It was impressive to see the HAH staff coping with this incident considering their lack of space and facilities. There were not enough beds or trolleys. Resuscitation of many occurred on the floor. Patients were triaged and transferred from Emergency to the wards or Intensive-Care within half an hour, making way for more casualties. Better timing than one would often see in Australia! Follow-up operations occurred over the next 24 hours including washing and repair of wounds, fixation of fractures and removal of a ruptured spleen. All casualties are recovering well. Next week a review of the incident will be held. As reported last week, the ‘rain season’ has well and truly arrived. This week a number of storms occurred during the day with much rain at night. It settles the dust but makes the dirt roads more potholed!